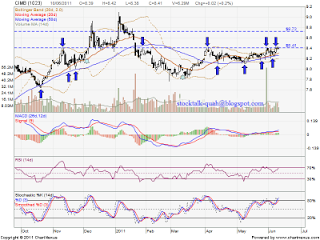 Since 8 June till 10 June 2011, CIMB retest RM8.41 strong resistant level. Before this, it have been attempted a few round unable break up this level BUT retrace down. How about this round? Will it able break above this level? 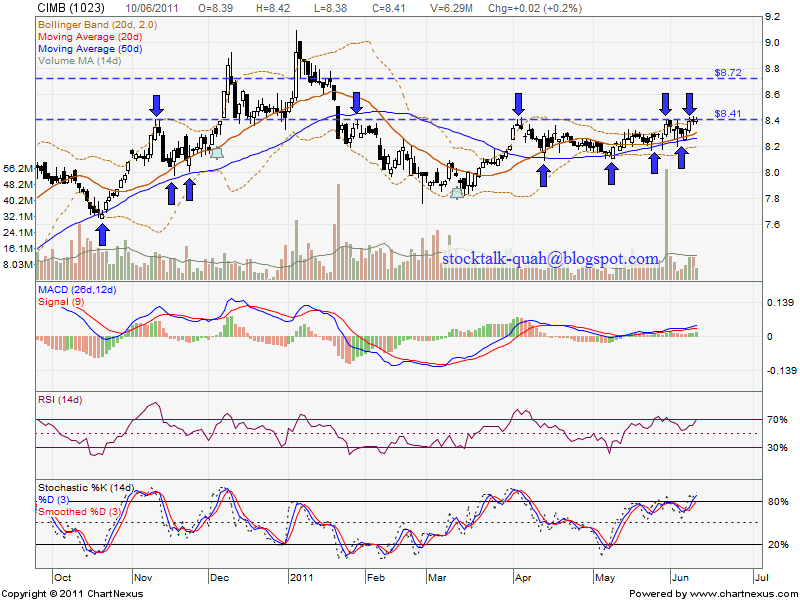 If able break up this level with huge volume, it might be retest around RM8.72 level. However, if retrace down, current strong support at MA50 support level.